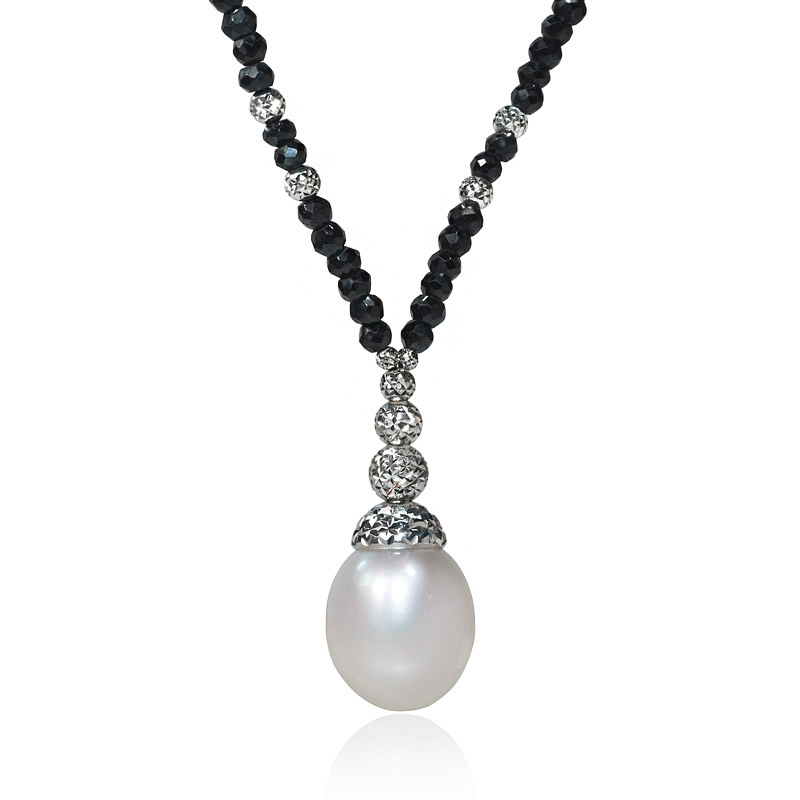 Pearl Details: 1 White South Sea pearl, a very high luster, measuring 12.5mm in diameter. 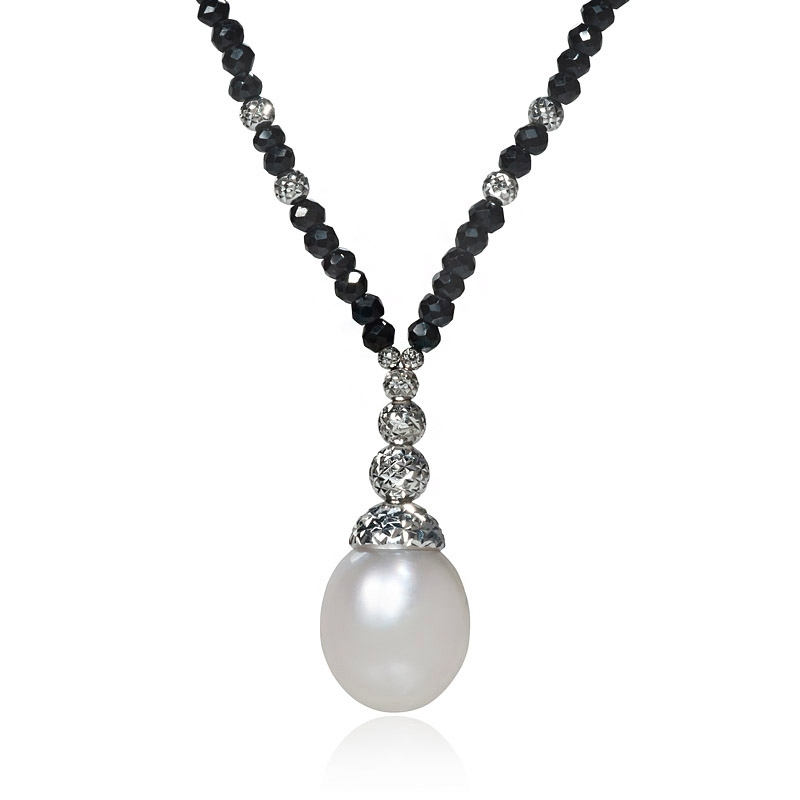 Necklace details: 14k white gold with black spinell chain. Measurements: 17 Inches in length and drop measures 30mm. This elegant 14k white gold and black spinell necklace, contains 1 south sea pearl, a very high luster, measuring 12.5mm in diameter. 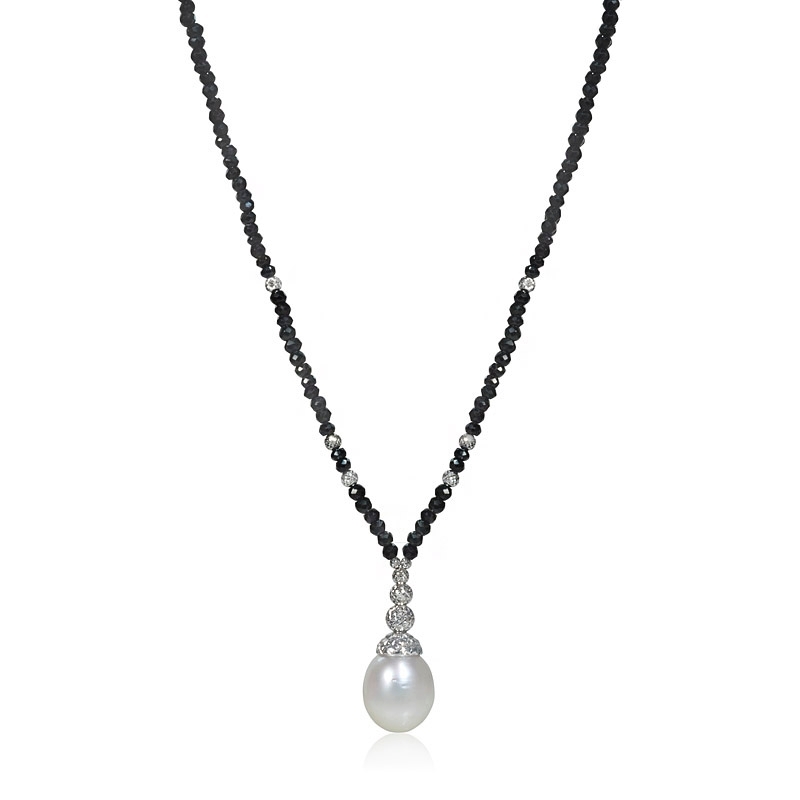 This pearl necklace measures 17 inches in length and drop measures 30mm.